Vinyl cutters come in a variety of shapes and sizes, and they can be used to manufacture commercial-grade products. How Does Vinyl Cutter Machine Work? After spending 47 hours researching 28 vinyl cutters, we found that Cricut Maker, Cricut Explore Air 2 and Silhouette Cameo 3 are the best vinyl cutting machines for home use. These machines are specially designed to help you handle all your personal projects with the ultimate speed and precision. Looking to buy a new vinyl cutting machine? We know how confusing the search for the good vinyl cutter for a reasonable price is. These awesome machines are really expensive, so before you start looking for some, you should have an exact idea of what you want to do with it. Will it be a personal or a commercial cutter? Do you wanna have Bluetooth enabled device or just a manual operation is enough? Do you have any space restraints? You need to ask yourself these types of questions before you invest in a vinyl cutter. Buying the wrong machine could lead to a lot of frustration and failure. If you have already decided how do you want to use it, below is our quick summary of the best vinyl cutting machines in 2019. If you need more help, we have an understandable guide on this page. Are you looking for a machine that has lightning speed cutting potential, portable and stylish design? Cricut Maker is the ultimate product to consider. It is almost 10x stronger and more accurate than similar devices. To be honest, for the price, there is no comparison with some of the other commercial cutting machines with the same cutting force. Hobbyists on a tight budget. This is the target audience for Silhouette Portrait. A smaller version of the famous Cameo cutting machine, this device allows you to cut all the fonts and small designs very fast. An ideal entry-level cutter for DIY enthusiasts who are looking for an affordable way to experiment with the potential of a quality vinyl cutting machine. With a low price, this unit will definitely hurt your budget too hard. But… Don’t expect many useful features you can find on the more expensive premium models. Silhouette Portrait is designed for beginners, who need only basic functions for their home projects. If your intention is to cut in bulk precise pieces, go for any of the other products we recommended on this list. Silhouette Portrait is small, fast, cheap, and overall an excellent unit that can help you running on your first project within a matter of minutes, but it lacks precision. Sturdy, fast and functional. The Silhouette Curio is labeled as a companion device to other larger die-cutters that are lacking some functions such as embossing, debossing, piercing, etching, scoring, stippling, deep cutting, and drawing. More than that. It allows you to work with a wide range of materials like foam, leather, rubber, foils, wood and even metal sheets. The Silhouette Curio is able to cut a depth of 10 feet and a width of 8 inches. Great ability is that before it cuts, it gives you fast reference chart specifying the blade depth and base for each type of material. That´s really great for users who are not sure which material requires which setting. 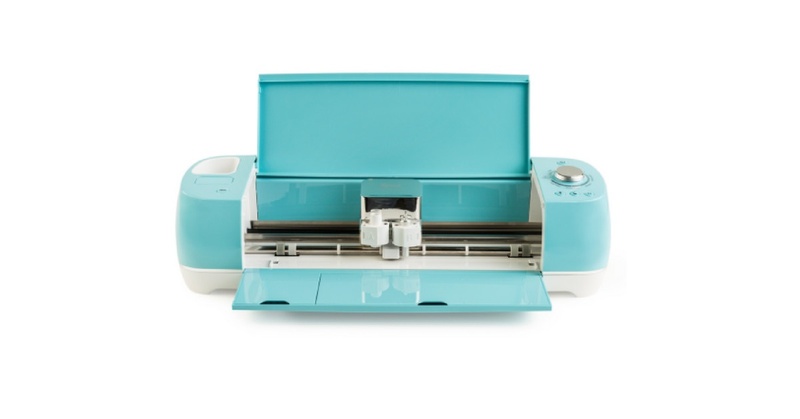 The Cricut Explore Air 2 is without a question one of the best craft cutting machines on the market. It looks good, it cuts good, it etches good and draws good. An ideal machine for home use is someone who loves crafts or designing small projects like t-shirts. You can even start a small business around it. 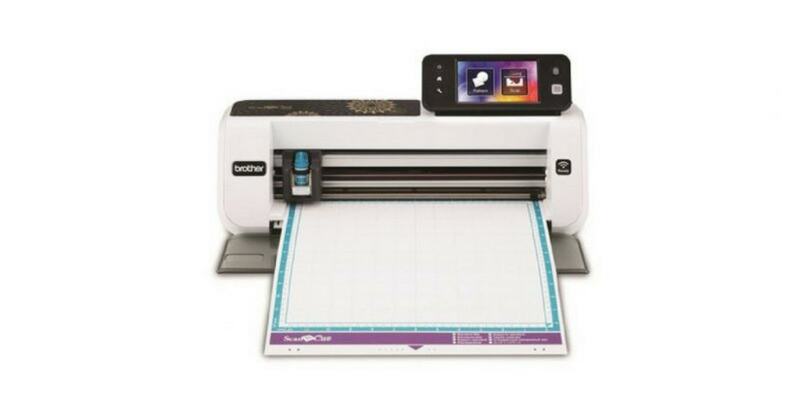 Cricut Explore Air 2 so incredibly versatile device which can work with over 100 different materials. For example cardstock, fabric, vinyl, metals, foam or leather. If you will cut materials like vinyl, cardstock, and iron, you may work in fast mode. This mode is faster than on any other home craft vinyl cutting machines on the market right now, We think, the Cricut Explore Air 2 is one of the best vinyl cutting machine for t-shirts, ideal for home use. 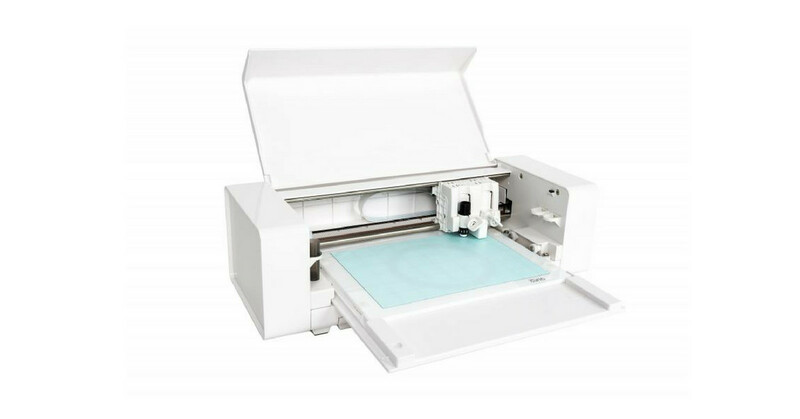 The Silhouette Cameo 3 is not the best die-cutting machine available but with its simplicity an ideal device for both beginners and less experienced vinyl cutters. It builds on the success of the previous models and adds some new features as well as a few design improvements. A small, intuitive and fast machine can cut different materials, but… To be honest, Cameo 3 isn’t the most versatile vinyl machine, as it can only cut thinner materials. 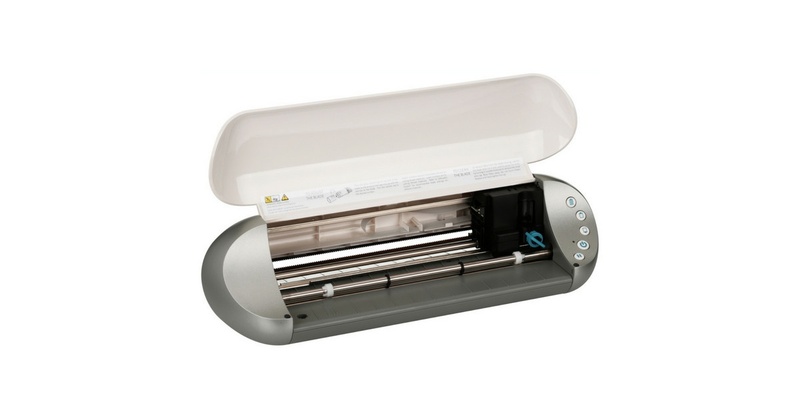 It is specially designed to cut drawing paper, postcards, scrapbooking paper, photo paper, and vinyl. It is able to handle a few other materials but its variety is very limited. The low-pressure blade has a problem to cut through anything tougher then chipboard. 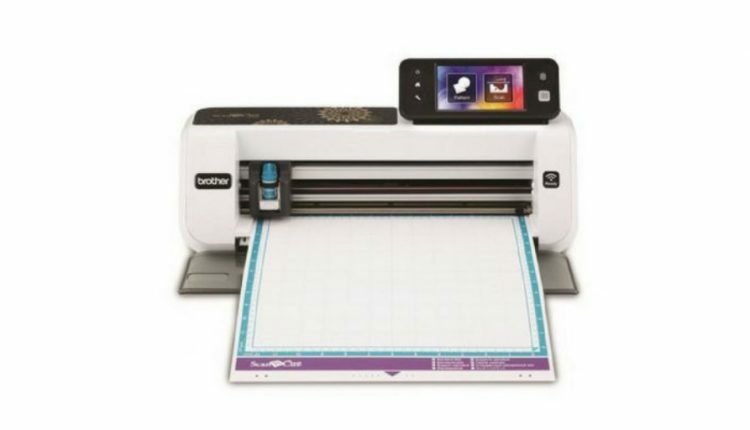 As we said above, Silhouette Cameo 3 is a machine designed to work primarily with paper projects and lacks functions such as piercing, embossing or engraving. The size. A first thing you will notice about USCutter MH721. This is a pretty big cutter, but it is logical. The machine cut to around 28 inches wide. We are sure MH721 is not your usually entry-level craft cutter, so make sure you have the space to place it before you buy the machine. Cuts are precise and customizable, the unit is very easy to use and you get good value for the money. By the way, this is why MH Series is super popular among people. They are mostly cheaper in comparison to other semi-commercials cutters, so we highly recommend this to anyone looking to start out in vinyl cutting. 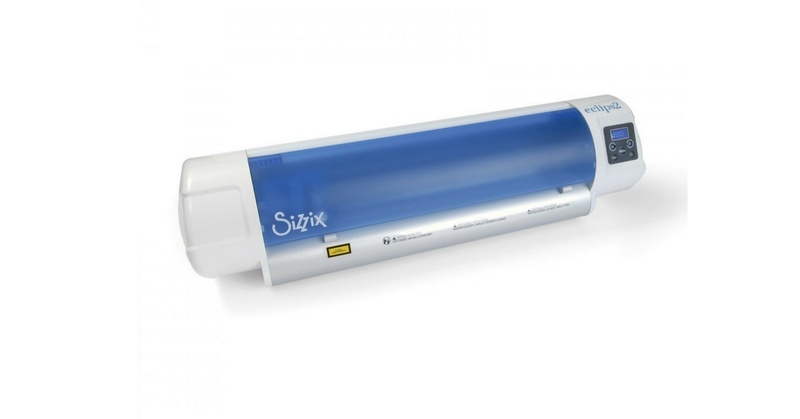 The Sizzix eclips2 is not quite as versatile with materials as its main and more popular rivals and does not have any embossing or engraving features. But its high precision cut, perfect scoring, reliable cutting and the power to handle small design, makes Eclips2 great for paper crafts, especially card-making. If you do want to use it on other materials, it does have easy to use automatic speed and pressure settings, so you can adjust the blade for deeper cutting. To be honest, the precision and strength of the cut are the best you can hope for in this price range. 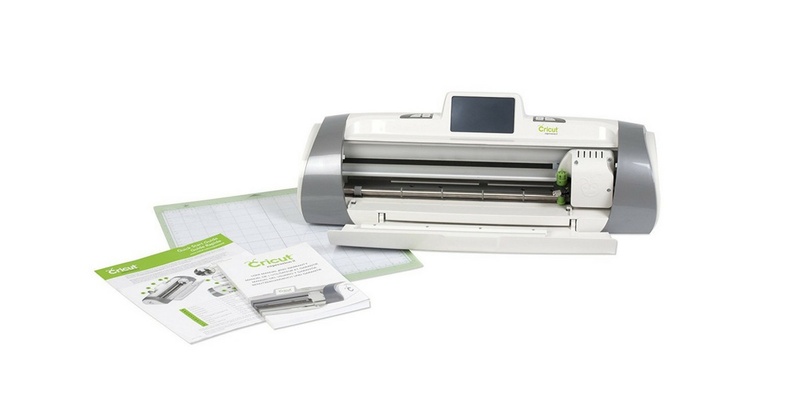 Let´s take a look at Cricut Maker, possibly the best home vinyl cutting machine on the market. So incredibly versatile cutter for those who wish to work with a wide range of materials. Over 100 materials can be cut with Cricut Maker, from thin vinyl to thick leather, foam, metal, and fabric. If you buy the knife blade, it will be able to cut materials up to 2.4 mm thick. With the rotary blade alone, you get a versatile crafting machine with dozens of pre-designed patterns ready for you to create. It can cut almost every fabric you can think of – silk, denim, canvas, chiffon etc. And the abilities to switch easily between tools, use two tools at once and import a huge range of design files, even the advanced crafters – WOW. We are sure that Maker will fit all your needs. 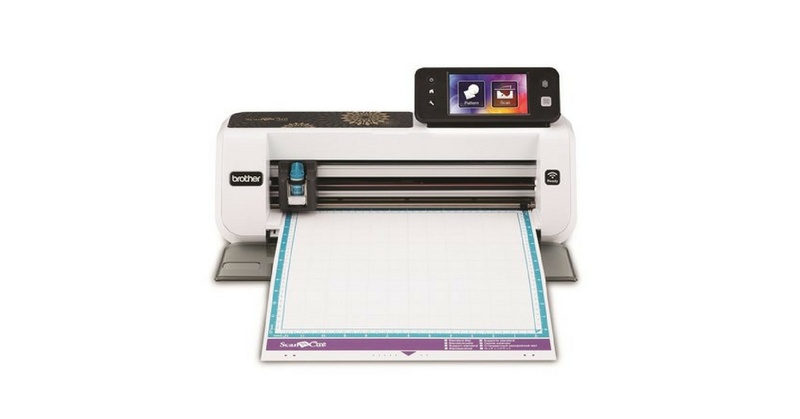 Loved by many crafters, with tons of new features and a wide range of cutting and scanning abilities. Yes, scanning. The Brother ScanNCut2 is perhaps the only home cutter for sale with a built-in scanner. 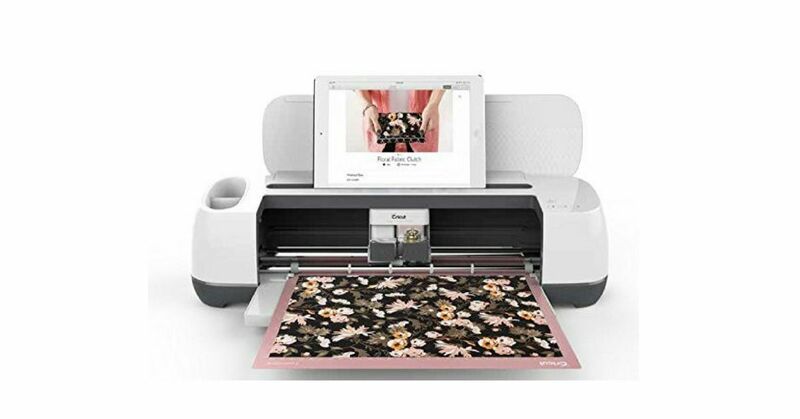 This die-cutting machine has a 300 DPI scanner with a large screen to make working with patterns and customizing cuts more effective. If you are a person who loves drawing on paper or in scrapbooks, you will like the ability to scan those designs and sent them straight into a high precious cutter. ScanNCut2 is built around it – the ability to scan your designs. Do you need larger cuts for your small business? Than Brother ScanNcut2 is not for you. There are more powerful die cutting machines out there, which can easily handle hardier materials, such as metal and wood and sophisticated designs. However, for paper crafters or sewers who don’t mind working in relatively small sizes, this machine is a good choice. The Cricut Expression 2 is old but still such a popular machine for few reasons. It is still without a doubt a good craft cutter and was a game changer when it was first released. 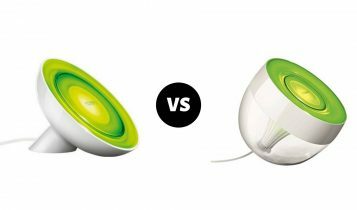 It is extremely easy to use and what´s more – it cuts great. Two essential elements of a good vinyl cutting machine. It doesn’t require a computer, so it can be moved from place to place. It’s decently powerful, and it can cut tons of different materials. However, you cannot design your own custom designs. 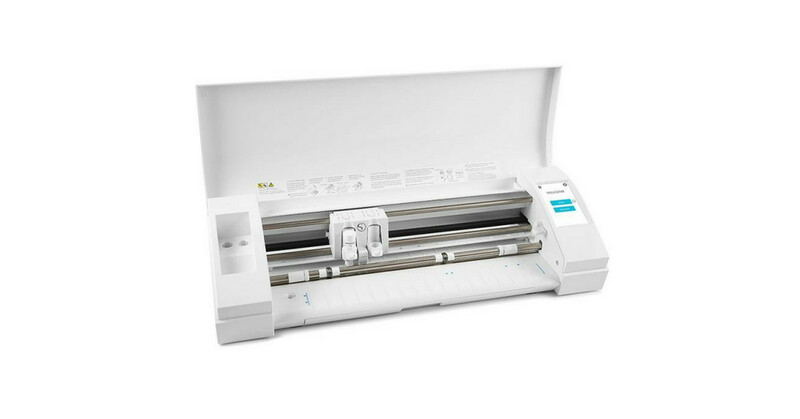 The Cricut Expression 2 is purely cartridge based, so if you need a machine that allows you to make your own images, this device will limit you, as you can only use it with purchased Cricut images and cartridges. Firstly, this is not a machine for casual hobbyists. Only after you decide that you would like to make more professional designs, then this is the vinyl cutting machine that you should get. It has the ability to create a wide range of patterns thanks to its design and cut software, allowing you to give in to the whims of even the most demanding of clients. Its laser point helps in contouring cuts around graphics, with a high precision axis for greater accuracy in cutting. You can also manually contour cuts with this vinyl cutter. The vinyl cutting means a creating a design in a software program and using a special machine (vinyl cutter) to cut out your design with the use of the blade on sheets of vinyl. After the work is done, you have to remove all vinyl waste from the paper backed sheet and put the final design on you want (card, wall, book, t-shirt, etc.). That’s an easy answer. A vinyl cutter is a computer controlled machine utilized to trim vinyl or other material into various shapes and letters. On average, they look and even behave like printers. Yes, the cutter is almost the same size as a computer printer, but unlike the pen reproducing your work onto printer paper, vinyl cutters are using a blade to finish your design into various materials. 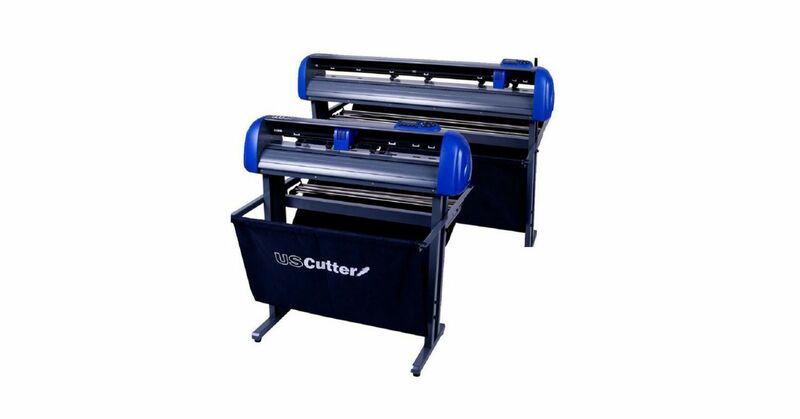 Vinyl cutting machines are also known as die-cutters, plotters, and craft cutters because they are able to do more than just cut vinyl designs. The high-quality machines can cut into cardstock, reflective, tissue paper, paper or thermal transfer material. You should always read the description of each vinyl cutter you want to buy and read about the materials you are able to use. 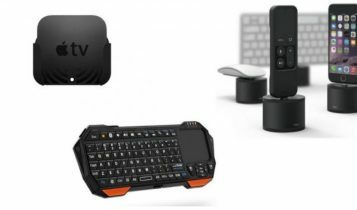 Because some of these devices can even work with aluminum or wood. Vinyl cutters come in two major categories – personal and commercial. You have to determine in which of these categories you fall to get most of your investment. Businesses will be using these machines for a variety of jobs for their client. Professional vinyl cutter is large, expensive, with an ability to cut large design, different materials and make more jobs at one time. Always keep in the mind that because a machine can handle bigger designs, it doesn’t mean it is better. Invest in a big vinyl cutter only if you are sure you will need it for bigger designs. Price – We will repeat it again. Buying a vinyl cutting machine is a huge investment. Most of the units on our list cost around $300. Choose wisely if you need to pay extra for better blades or wireless compatibility. Printing Size – Most home vinyl cutters can cut up to 12 inches in size. If you have to cut larger objects, you have to pay more for a business cutter. Machine Size – We know that the size of the cutter is also an important factor for you. Therefore we include detailed dimensions of each machine you can find on our top 10 list. Included Software – You can’t do much without software. It is essential to use proper programs to design object you want to cut. Of course, some high-quality vinyl cutting machines come with their own software with few pre-made templates, but mostly the included software is useless. Our favorite is Adobe Illustrator. Materials – The math is simple. More materials the cutter can handle, the better. Always look for a unit that is able to work with the materials you want to use for your designs. Above we made a list of the bestselling vinyl cutters on the market. These machines are great for people wanting to create their own crafts without buying professional business devices. 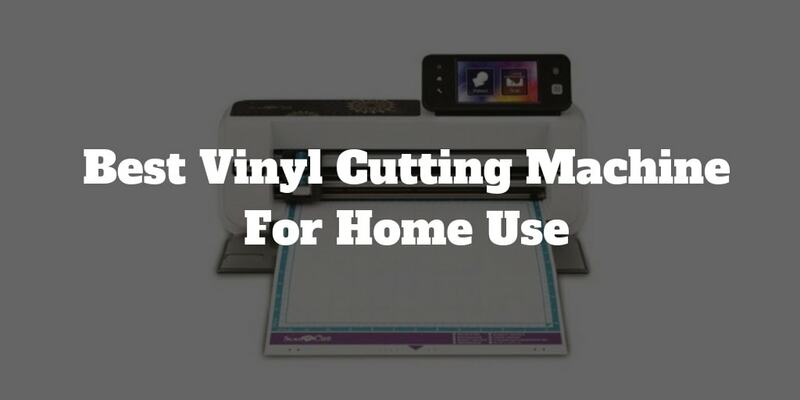 Take a closer look at their features, pros or cons, and perhaps make the first step to buy the best vinyl cutting machine for the money in 2019. These machines come in a variety of sizes and shapes, and they are designed to manufacture commercial-grade products. You should always keep in the mind that just a vinyl cutter is not enough, you will also need a computer and software where you can design images you wish to print. With the right software, you are able to use your machine even to open a small business. T-Shirt – A cutter is one of the key equipment you need to start your own T-shirt business. A combination of printer/cutter, computer, heat press is essential. After the design has been cut, a heat press is used to apply the design to the front of T-shirts, jerseys or jackets. Vinyl Lettering – Custom lettering can be applied to indoor walls, cars or signs. With a cutter, you can offer your customers a variety of fonts and sizes. Banners – What about to make large banners for special occasions. Weddings, parties or reunions. If you want to step into this business, create your own website and show future customers your ideas. Magnets – With correct software, you can create small and interesting refrigerator magnets for individual customers. Again, that was just a few ideas. 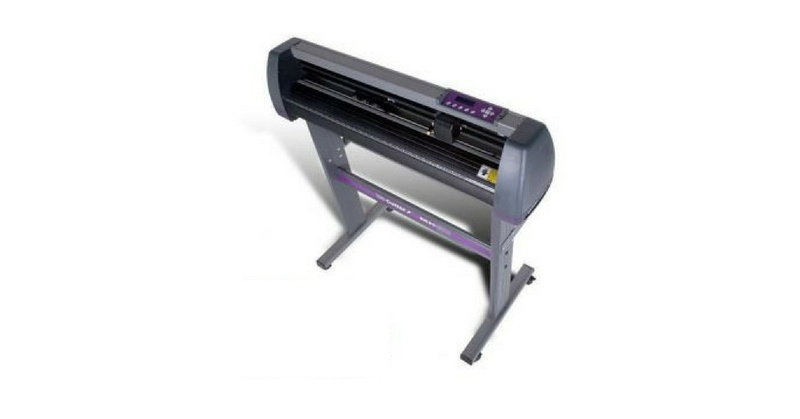 Many cheaper vinyl cutting machines are designed for common users. They don’t offer so precise cutting or larger printing surface. But these cheap cutters are still great for the hobbyists – for small designs. A newbie in this field may have an issue to understand how the vinyl cutting machines work. 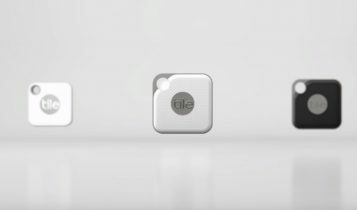 Let´s take a closer look at these awesome devices with this pretty nice video. One important thing you have to know. These machines are expensive. Even on our list of best vinyl cutting machine in 2019, we have most of the devices at a price around $300. So, before you buy one, ask yourself a few questions. If you already looked at some vinyl cutter, you have certainly come across the fact that they have a wide range of cutting widths. From small 6-inches cutters to huge 64-inch machines. The most common cutting width of standard vinyl machines for normal users is between 9-12 inches, which should be good for small crafts makers or usual hobbyists. You should know the size of the final product you want to design, but if you aiming to have a small company, you may have bigger machines to offer a variety of products to your customers. It is simple. If you need precious cuts, you have to pay more. In short, the expensive vinyl cutting machines are usually better. Don’t expect high professional standards from a device that cost around 200 dollars. We don’t include the best commercial vinyl cutters on our top list, we were looking for devices with the best vinyl cutters for small businesses or home crafters. All models above are still great for less complex cutting and what’s most important, they are praised by many satisfied users. God bless YouTube. This website is full of useful tutorials and DIY channels you should watch and follow. Computer, software, and vinyl cutting machine. Absolute essentials. What else do I need?